in the Atheist Channel of Patheos . . . Although Christian apologists bear the burden of proof to show that ‘Jesus actually died on the cross’, William Craig usually ignores this issue in his books, articles, and debates defending the resurrection of Jesus. In my previous post, I pointed out that there is at least one book in which Craig does make a case for the claim that ‘Jesus actually died on the cross.’ Craig makes a very brief attempt at this in The Son Rises: The Historical Evidence for the Resurrection of Jesus (hereafter: TSR). His case is made in just five paragraphs, in a little more than two pages of text. The first paragraph is the longest. We saw previously that Craig makes about 30 different historical claims in the first paragraph, but provides zero historical evidence in support of those claims. Craig knows better than to put the Shroud of Turin forward as historical evidence for the death of Jesus, so he does not do so. Instead, he states that it “illustrates graphically” the wounds that Jesus had “when He was laid on the cross.” So, once again, Craig puts forward some historical claims, with no historical evidence to support those claims. By my count he makes five historical claims (about Jesus) in [that paragraph]. 1. The front of Jesus’ body was covered with wounds from head to foot, just before he was crucified. 2. The back of Jesus’ body was covered with wounds from head to foot, just before he was crucified. 3. A flagrum is a multi-thonged Roman whip with metal or bone. 4. Some of the wounds on Jesus’ body that resulted from being whipped were deep and serious wounds (“had torn apart his flesh”). 5. The wounds on the front and back of Jesus’ body just prior to his crucifixion, were caused by being whipped with a flagrum. Talk about overlap and redundancy! Bowen is nit-picking. Why does Craig know better than to put the Shroud of Turin forward as historical evidence for the death of Jesus? 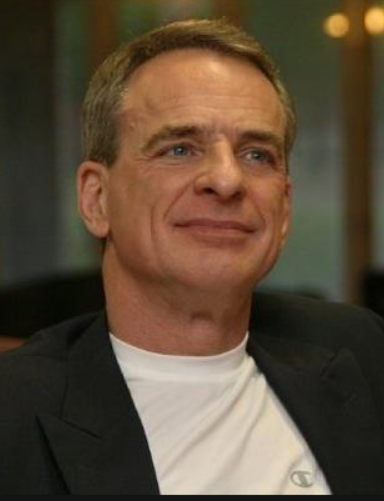 William Lane Craig is surrounded by other Biblical scholars, many of whom are liberal,sceptics, militant atheists, scoffers, cynics and more. He is wise, he is being careful, how can he be dogmatic about the Shroud? My comment on the thread “Can doubts about the shroud strengthen Christian faith” was “Easier said than done” and cannot be found there. It can also apply in this context. Craig personally knows Gary Habermas who is an apologist focused on the resurrection and uses the Shroud as an additional evidence. I think it’s likely Craig either just doesn’t feel he has done the research necessary to defend it or he hasn’t felt the need to use the space in his published books defending it. It’s simply because Craig follows a “Minimal facts approach”, that takes only into account historical data receiving the widest consensus among scholars (Jesus’ crucifixion, Paul’s conversion, the empty tomb, the rapid spread of christianity). Therefore he does not need the TS to prove the death of Jesus. Virtually all scholars already agree : Jesus died by crucifixion around 30 AD. I agree, and that’s why even atheists believe he has won all his debates.